Bury’s popular festive penguins are set to steal the show again this year as they return to the town centre for the annual Ourburystedmunds Christmas Lights Switch On event. A packed programme of street and stage entertainment, festive fundraising stalls for charities and of course free parking after 4pm will start the build up to the main attraction of the evening when the town is lit up at the flick of a switch at 7pm. Entertainment will then continue until 8pm. 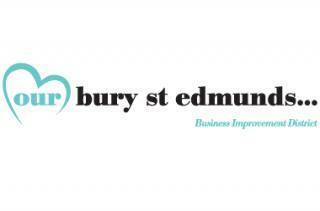 The event is one of the annual crowd-pleasers run by the Business Improvement District (BID) organisation Ourburystedmunds. Chief Executive Mark Cordell said: “Since the BID took over the organisation of the Christmas Lights Switch On event we’ve increased and improved the Christmas Lights display across the town centre. Every year we look at ways in which we can make the evening more fun and make the town look even better for the festive season. The build up to the switch on will begin from around 3pm. There will be a full programme of stage entertainment outside Moyses Hall from 3.15pm and the event marks the start of free parking on a Thursday from 4pm for late night shoppers. This is in addition to the year-round promotion of Free from 3pm parking on a Tuesday. As well as the activities around the Cornhill and Buttermarket areas of the town the arc shopping centre also has a range of stalls, sideshows and entertainment as well as new lights for 2016.